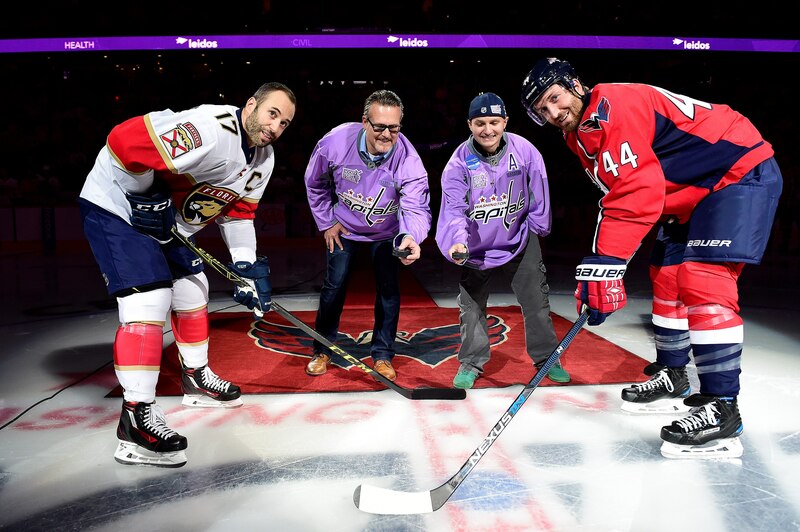 ARLINGTON, Va. – The Washington Capitals hosted #CapsFightCancer Night supported by global sciences and technology company Leidos during the game against the Florida Panthers on Saturday, Nov. 5, with several initiatives surrounding the evening. #CapsFightCancer Night is a part of Hockey Fights Cancer, a league-wide initiative founded by the NHL and NHL Players’ Association and is dedicated to raising awareness for national and local organizations involved in cancer care and research. As part of the team’s Hockey Fights Cancer campaign, each Capitals player, head coach Barry Trotz and owner Ted Leonsis was paired with a Make-A-Wish ® Mid-Atlantic participant who is currently battling cancer or is in remission. 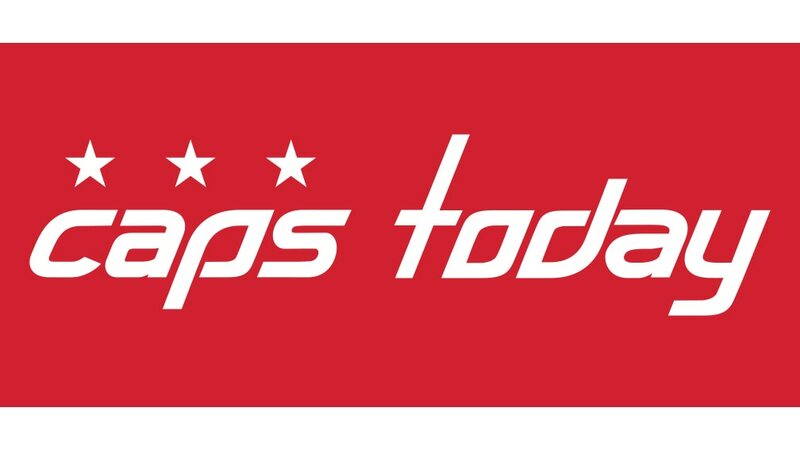 Video testimonials featuring players, Trotz and Leonsis reading the biographies of their Make-A-Wish ® Mid-Atlantic local wish kid partner and posting their images on a Capitals Hockey Fights Cancer board were released daily on WashingtonCaps.com/CapsFightCancer through Nov. 5. During warmups on Nov. 5, players wore lavender Capitals jerseys with the nameplate of their Make-A-Wish ® Mid-Atlantic child. Children from Make-A-Wish ® Mid-Atlantic participated in various in-game activities, including Olympia rides, the flag tunnel, T-shirt toss, intermission game and a ceremonial puck drop. 17-year-old Severn, Md., native and local wish kid Peter Jauschnegg participated in the puck drop with Capitals alumnus John Druce. Peter is currently in remission, having beaten two types of cancer – Ewing’s Sarcoma and leukemia. Druce lost his daughter Courtney to cancer in April 2016. Following the game, the Make-A-Wish® Mid Atlantic participants visited the Capitals locker room to meet with players, take photos and get autographs. Monumental Sports & Entertainment Foundation raised $63,955 for Flashes of Hope, Hope for Henry, Make-A-Wish ® Mid-Atlantic and Pancreatic Cancer Action Network through a Hockey Fights Cancer auction. Leidos donated an additional $40,000. Combined with proceeds from the evening’s 50/50 raffle, warm-up puck sales, Ellie’s Hats donations and the sale of Hockey Fights Cancer pins, a total of $125,605 was raised for the charities. The MSE Foundation auction featured Hockey Fights Cancer jerseys, sticks, pucks and hats. Player-used sticks with lavender tape, pucks featuring a lavender Capitals logo and autographed Hockey Fights Cancer hats and ties rounded out the auction. A loose nameplate with the player’s name was included with each jersey. Four jerseys sold for more than $3,000, with forward Nicklas Backstrom’s jersey selling for the most at $3,500. In addition Braden Holtby’s autographed goalie stick and a team autographed framed puck set each sold for $3,050. 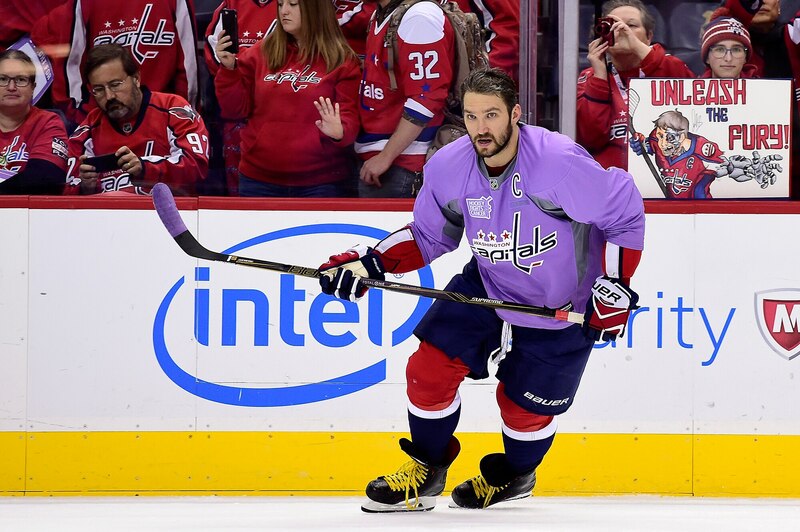 Lavender is the official color the NHL’s Hockey Fights Cancer campaign, as it represents all forms of cancer. In addition Ellie’s Hats hosted a hat drive during the game, collecting more than 450 hats. Ellie’s Hats is a local organization that collects new hats to donate to kids who are battling cancer and going through chemotherapy treatments. For more information visit www.ellieshats.org. Flashes of Hope is a nonprofit organization that raises money for pediatric cancer research and changes the way children with cancer and other life-threatening illnesses see themselves through the gift of photography. The goal of Flashes of Hope is to photograph every child until every child is cured. MSE Foundation and the Capitals established the D.C. chapter of Flashes of Hope at Children’s National, and also support the Northern Virginia chapter based at Inova Fairfax Hospital for Children and the Children’s Center for Cancer and Blood Disorders. Hope for Henry is reinventing how hospitals care for seriously ill children and their families through innovative programs that entertain, reduce stress and empower children to be active participants in their own care. Since 2003, Hope for Henry has improved the lives of more than 16,000 kids and families at Children's National, MedStar Georgetown University Hospital, Sinai Hospital of Baltimore and other hospitals around the country. Photo Caption (Puck Drop): L-R Florida Panthers forward Derek MacKenzie, Washington Capitals alumnus John Druce, cancer survivor Peter Jauschnegg and Capitals defenseman Brooks Orpik participate in a ceremonial puck drop prior to Hockey Fights Cancer Awareness Night at Verizon Center on Nov. 5 in Washington, D.C.
Photo Caption (Ovechkin): Capitals captain Alex Ovechkin wears a lavender jersey during warmups on Hockey Fights Cancer Awareness Night versus the Florida Panthers on Nov. 5. The jerseys featured the nameplate of a Make-A-Wish ® Mid-Atlantic child and were included in an auction that raised $125,605 for Flashes of Hope, Hope for Henry, Make-A-Wish® Mid-Atlantic and Pancreatic Cancer Action Network. Photo Caption (Jerseys): Monumental Sports & Entertainment Foundation hosted a Hockey Fights Cancer on Nov. 5, featuring autographed lavender jerseys worn by players during warmups. Combined with a donation from Leidos, the evening’s 50/50 raffle and the sale of Hockey Fights Cancer pins, the auction raised $125,605 for Flashes of Hope, Hope for Henry, Make-A-Wish® Mid-Atlantic and Pancreatic Cancer Action Network. Photo Caption (Oshie): Washington Capitals forward T.J. Oshie meets with Make-A-Wish ® Mid-Atlantic partner Addy Flint following the Capitals’ Nov. 5 Hockey Fights Cancer Awareness Night at Verizon Center. As part of the team’s Hockey Fights Cancer campaign, each Capitals player, head coach Barry Trotz and owner Ted Leonsis was paired with a Make-A-Wish ® Mid-Atlantic participant who is currently battling cancer or is in remission.